The story of Phamous is set in the Chambal region of Madhya Pradesh with a power struggle between the four principal characters forming the crux of its story. Phamous is the fourth Indian film to be shot in the Chambal region, which is famous for its association with dacoits, the first few being Dacait, Bandit Queen and Paan Singh Tomar. 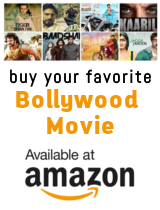 Shambhu (Jackie) accidentally kills his own daughter on her wedding day while saving her from being kidnapped by Kadak Singh (Kay Kay), and his actions lands him in prison. He swears vengeance. Radhe (Jimmy) idolises gun wielding, local politician Kadak Singh and dreams of possessing a weapon of his own. Kadak is indebted to Radhe who had saved his life as a young boy. Kadak and Ram Vijay Tripathi (Pankaj Tripathi) are bedfellows in the political game. Kadak rules the roost with crooked politicians Tripathi and his brother Babban (Jameel Khan). Radhe has an old grudge against Tripathi as years ago, Radhe as a student was infatuated with his Rosie teacher (Mahie Gill). Tripathi, who is high on his libido, raped and murdered Rosie teacher. Kadak Singh still manages to work with both until Tripathi sets his lecherous eyes on Radheâ€™s wife Lalli (Shriya Saran). Radhe has to make a choice and is forced to train his guns on Tripathi. What ensues is the battle of supremacy and a revenge drama, as Shambhu is back to avenge his daughterâ€™s death. Good prevails over evil, as the self proclaimed dhaakad phamous Raavan meets his end.